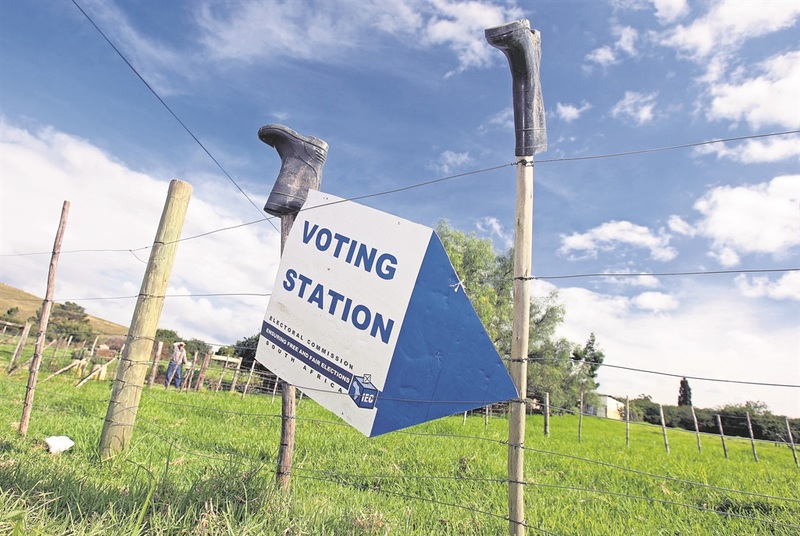 As much as the ANC is under pressure from all opposition parties, an intense, unled competition among the opposition parties provides reprieve for the ruling party, writes Ralph Mathekga. With just under a month left before the May 8 elections, voters are confronted with the serious challenge of processing larger quantities of information than has ever been the case before. There can be no doubt that there is currently more access to information than was the case during the previous elections. More people have access to mobile phones and information traffic has increased across society. To make the picture more interesting, there is even false information, or fake news, doing the rounds about a variety of issues. The increased number of political parties competing in the elections also increases information traffic. According to the Electoral Commission's tally, there are 48 parties competing in the forthcoming elections. This is 19 more than recorded in the 2014 elections. If it was confusing for voters to decide which party to vote for in 2014, imagine what it's like now with 19 more choices added to the picture. There are so many options for voters that it might be difficult to decide which party deserves a vote. All the competing parties see themselves as different from the lot. Each is claiming to provide the freshest ideas on how to get South Africa going forward. What is also interesting about the 2019 elections is that political parties have generally campaigned against each other; whilst they all have positioned themselves against the governing ANC. In other words, there is competition within the ever-growing opposition camp among all the parties there on the one hand, and a broader competition between the opposition parties and the ANC as the governing party. As much as the ANC is under pressure from all opposition parties, an intense, unled competition among the opposition parties provides reprieve for the ruling party. When opposition parties are competing amongst each other, the net effect is that the ANC is spared a coherent opposition. Thus, the ANC is faced only with a fragmented multitude of opposition voices that are too diverse to bear impact on the governing party's electoral base. The opposition voices are so diverse that they ultimately cancel each other out. The problem with such an information overload is that it creates difficulties for voters when it comes to which information should be treated more seriously when deciding how to vote. There is no doubt that an informed voter is more likely to make an informed vote. The problem emerges when information is just too much to be processed meaningfully; particularly where such information used to be scarce. When voters are confronted with a complex set of information coming from a multitude of voices, chances are they will disengage from the exercise of processing the necessary information. When voters are confused, the safest option is to resort to decisions they had made in the past. In relation to the elections, this means people will simply resort to old choices or won't make a choice at all. It's important to remember that people are not professional voters; they have other preoccupations in life and they generally don't want to engage in a lengthy exercise of processing information about political parties. If information presented to voters is not simple to process, voters tend to disengage and use the easily available formula: vote for the party you voted for in the previous elections. This is what happens when a political system provides choices without clearly articulated alternatives. What makes things even more complex for voters is that the information about political parties does not help voters to identify alternatives. I wonder if the alternatives really exist in the May 8 elections, despite 48 choices that are presented in the form of political parties contesting the elections. So, spare a thought for people who will be voting on May 8. It must be very difficult to deal with all of this.